One looks at that title and thinks a cake that you boil? No not a cake that you boil but a boiled fruit, cake. 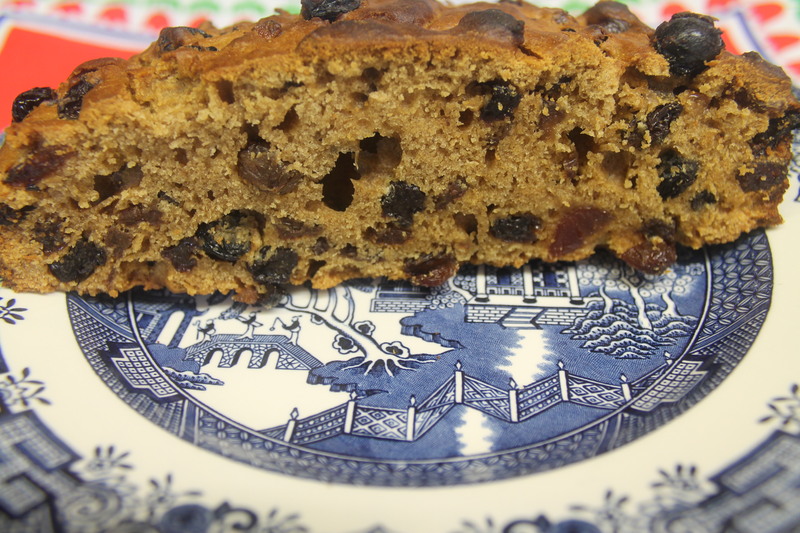 We boil the fruit first then bake it in the oven, it is a very good cake for keeping as it does not go dry very quickly. Also an added bonus for you with egg problems it does not contain any! If it is still too hot over there for cooking you may need to save this recipe for Winter. 1 level teaspoon bicarbonate of soda. Boil the liquid, fat, sugar and fruit together in a pan for 2 to 3 minutes. Whilst this is cooling sieve together your dry ingredients, flour, spice and bicarb. Combine the liquid with the dry ingredients and beat thoroughly. Pour into the tin and bake for 40 to 50 mins depending on your own oven. If it is burning on top then turn your oven down and leave it in longer or cover with tinfoil. I used the whole 6 oz of fruit in mine and it was cooked in 50 mins. It is really good when sliced and buttered with a nice cup of tea.